UKMedix lead the way in prescription medication and have been considered market leaders for well over a decade, providing thousands of customers with genuine prescription medication at great low prices. Medications and treatments are dispensed from a licensed UK pharmacy and are delivered free to your door or hotel, quickly and in discreet packaging. 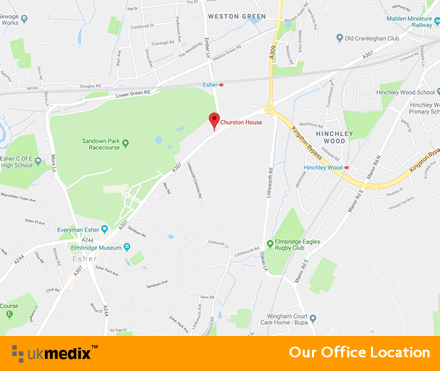 UKMedix not only offer you fantastic service, free next day delivery within the UK and competitive pricing but our UK practitioners are on-hand to offer you professional help and advice 24 hour a day, 7 days a week. 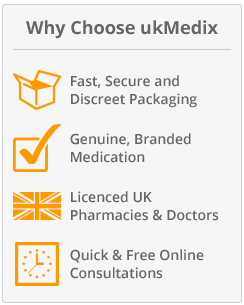 Widely considered to be the number one choice for customers that are looking to take the time and stress out of prescriptions, UKMedix have thousands of customers that have used the site for more than 10 years, knowing that they are getting the best possible service each and everytime.